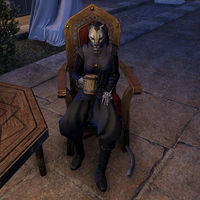 Dorzara is a Khajiit found in the courtyard of Hubalajad Palace. She will be with Rihahaz and is one of guests attending the wedding of Magnifica Falorah and Cosh. This page was last modified on 13 February 2019, at 07:44.